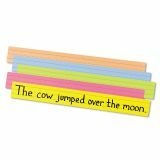 Pacon Sentence Strips, 24 x 3, Assorted Bright Colors, 100/Pack - Sturdy tagboard stock 1-1/2″ ruling with 3/4″ dotted midline on one side and a single line ruled on the opposite side. 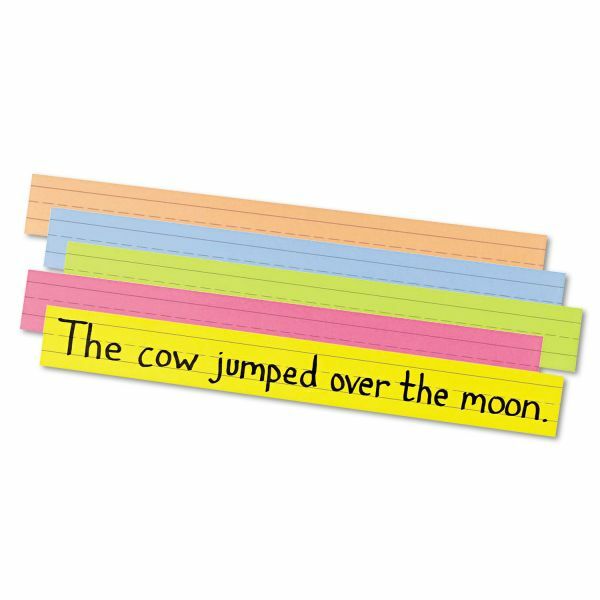 These strips measure 3″ x 24″. 100 strips per film wrapped package. Assorted colors include Hot Orange, Hot Blue, Hot Lime, Hot Pink and Hot Yellow. Recyclable.